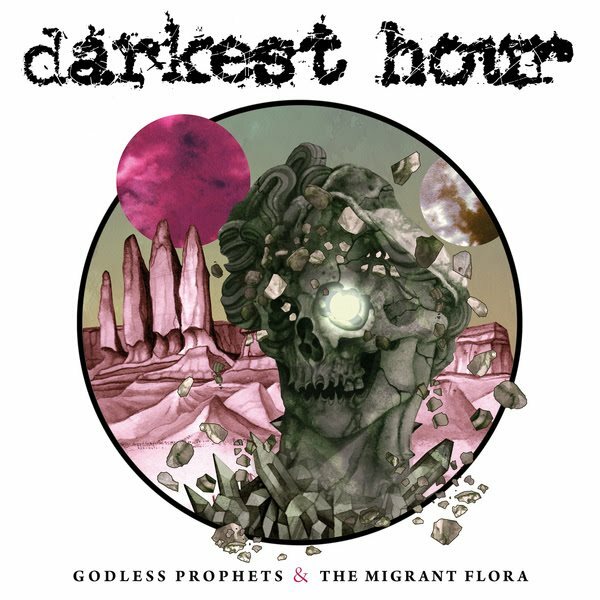 “Godless Prophets & the Migrant Flora” finds an exact middle ground between the elegant melodicism of Darkest Hour’s earlier work and the feral muscle of their previous album. The mixture is sure to please nearly all fans of the band, both old and new. The result is twelve tracks that simultaneously capture Darkest Hour at both their most tuneful and their most assailing. 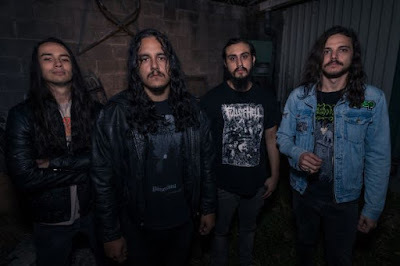 Since Darkest Hour strayed from their melodeath roots in favor a more commercial metalcore sound on their self-titled, eighth album in 2014, many new fans have flocked to the band’s base. However, older fans of their melodic death metal sound have been nervously twiddling their thumbs about what this would mean for the future of Darkest Hour’s direction. That future arrives in the form of the Washington, D.C. based quintet’s ninth LP, “Godless Prophets & the Migrant Flora”, their first original release for Goatsnake/Sunn O))) guitarist Greg Anderson’s label Southern Lord Recordings. It is also their first album to feature Converge guitarist Kurt Ballou behind the soundboard, and if the names associated with this album seem like they might be sending mixed messages about the album’s stylistic direction, that’s because they are. “Godless Prophets & the Migrant Flora” finds an exact middle ground between the elegant melodicism of Darkest Hour’s earlier work and the feral muscle of their previous album. The mixture is sure to please nearly all fans of the band, both old and new. The vibrant, flowing guitar leads definitive of the band’s classic material reintroduce themselves on “Godless Prophets & the Migrant Flora”, which may be partially due to the return of former guitarist Kris Norris, who, while not a full member of the band again, does perform additional guitar layering on the album. “Godless Prophets & the Migrant Flora” also sees vocalist John Henry return to a style more closely approximating his work on early Darkest Hour, albeit a tad harsher and more martial. These elements of Darkest Hour’s past works float atop an amalgam of their newer, metalcore influenced sound. The elements of classic melodeath that the band always impeccably recreated are set to a backdrop of vicious aggression that provide a new kind of edge to Darkest Hour that one never noticed was missing before. This is perhaps best exemplified by the album’s tenth and possible standout track, “The Last of the Monuments”, which mixes nimble guitar work, infectious melodies and ferocious attitude. 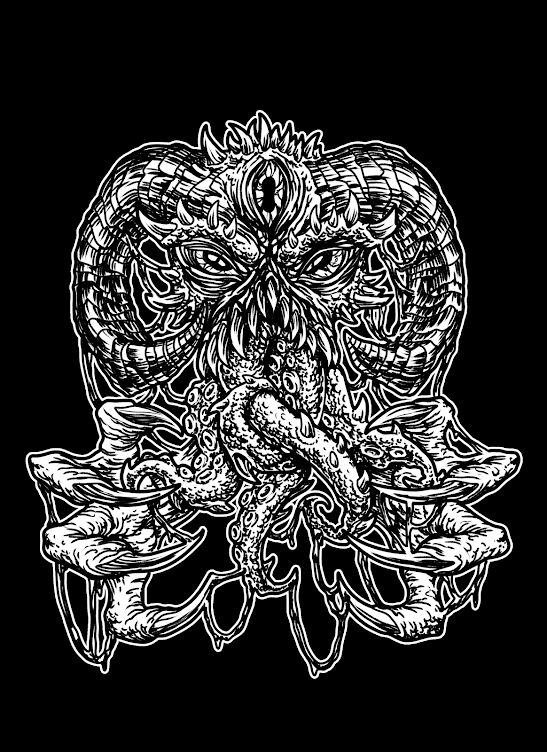 “Godless Prophets & the Migrant Flora” truly finds the best of both worlds that Darkest Hour has ventured into, removes them with a scalpel, and then slaps them onto a new musical canvas. The result is twelve tracks that simultaneously capture Darkest Hour at both their most tuneful and their most assailing.